Four boys, all aged 13 and 14, have been arrested on suspicion of murder after a man was stabbed to death in Edmonton. Metropolitan Police commissioner argues for reform in the face of massive budget cuts. The average London house asking price fell by £30k over the last month. Finally, some sense in the market? Or maybe not: London garages that cost more than a private island. 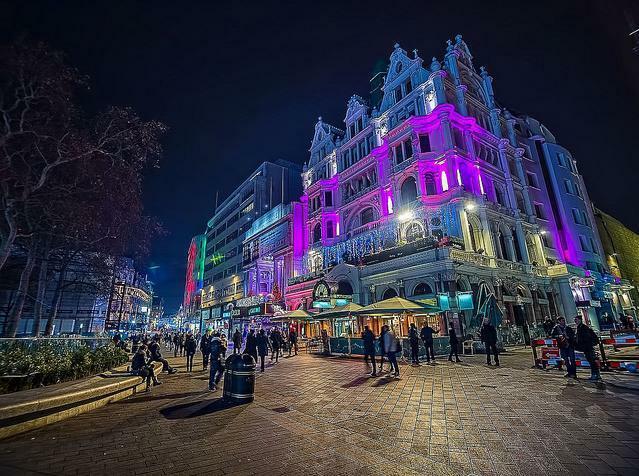 Developers are circling Leicester Square's cinemas, none of which have listed building status. Track problems on the bridge into Cannon Street station have been screwing up trains all day. Someone's been putting up anti-police 'adverts' in bus shelters, including one outside Scotland Yard. Remember that guy who dodged over £40k in train fares? He's been banned from working in financial services. This social supermarket in West Norwood sells food that other supermarkets would throw away, at discount prices. Diamond Geezer visits the city's extreme north west. Bond on the Thames: Spectre starts filming in London. The cable car has had a seasonal, Snowman-y makeover. Take a look at photos showing archaeological excavations from the 80s, digging up bits of Roman and Medieval London near Blackfriars. What Vice learned about London this year. Where have London's sparrows gone?